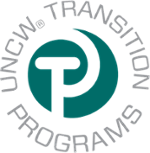 FLASH, Families Learning About Seahawk Happenings, is UNCW's monthly family newsletter. FLASH keeps families connected to campus and includes articles about healthy living, career exploration, news and events on campus, information about campus resources and student transition issues. Sign up here for the FLASH newsletter! You will be able to change your membership setting at anytime. CROSSROADS provides information to parents about alcohol use and how parents can help during the college years. Access a digital copy of the Parent Insider Guide that is provided in hard copy at Family & Guest Orientation by clicking here!